Sitting on the south coast of England next to Brighton, Hove is a beautiful seaside town in East Sussex. It has a population of around 92,000, and a strong property market with many homes making the most of the lovely coastal views. At My Home Move Conveyancing we provide a specialist, fixed fee conveyancing service. We can help you find your perfect home in Hove, having developed our knowledge and expertise of property markets like this since 2001. When buying or selling property in Hove, you’ll have to instruct property lawyers to carry out the legal work on your behalf. 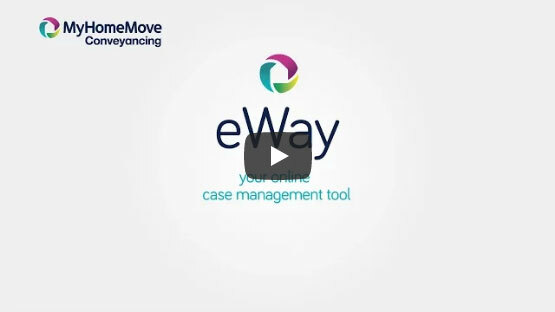 By choosing My Home Move Conveyancing as your Hove conveyancers you’ll gain access to our award winning customer service, innovative use of technology and expertise of the local market. Our professional, market-leading conveyancing service comes for a fixed fee. There are no extra hidden costs, so you’ll know exactly what you’re paying from the outset. What’s more, if you don’t end up completing for some reason, you won’t have to pay us a thing. We assign a dedicated conveyancer to each of our clients, who’ll look after your case from start to finish. You’ll have regular updates on your progress, as well as online access to your account. At My Home Move Conveyancing, we bring a positive approach to everything we do, and get things right first time round. We are proud to provide our conveyancing services in Hove to homebuyers across the area, from those looking to be in the town centre to areas by the local train stations and spots with great access to the coastline with its golden sands. The average house price in Brighton & Hove is £344,450, while the overall average sale price in Hove itself during the past 12 months was £413,962. Most sales involved flats which went for an average of £300,344, while semis fetched £552,260 and terraces 507,796. With evidence of a burial ground pointing to settlement in the Hove area since around 1200 BC, this has long been a popular place to live thanks to the beautiful coastal scenery. Hove itself remained a small and somewhat insignificant village until the 19th century, when a gasworks brought plenty of growth to the area. The modern town is a thriving seaside spot with a more peaceful atmosphere than neighbouring Brighton, but still offers all the amenities you need. A trip over to Brighton is short and sweet whichever part of Hove you’re in, whether you take a short stroll from the eastern part of town or a train between the two which takes less than five minutes. If you want to get to London, there are services to the capital’s Victoria and London Bridge stations which take just over an hour. To get to other parts of the south coast you can use the A27 which runs between Portsmouth and Eastbourne, while the A23 heads north towards London and Gatwick Airport. There are some highly rated schools in the area to consider for your children, with St Andrew’s CofE on Belfast Street being one of the most recommended primary options. Other options include Cottesmore St Mary’s Catholic Primary and Goldstone Primary, while Cardinal Newman Catholic School and Blatchington Mill School are secondaries which provide education up to the age of 18. All properties in Hove will fall within one of the following council tax bands.